Everyone's got Mars fever lately! The successful landing of NASA's Curiosity rover was a thrilling event to watch unfold. Check out our photo roundup of the mission to Mars so far, and seize the moment to engage students in studying space exploration with the resources in our Celebrating Space Exploration collection. November 26, 2011: The Mars Mission blasted off from Cape Canaveral, Florida. February 22, 2012: Back on Earth at NASA's Jet Propulsion Laboratory at the California Institute of Technology, a close double of the Curiosity rover, known as the Vehicle System Test Bed (VSTB), is used to test the precision of the rover's robotic arm. 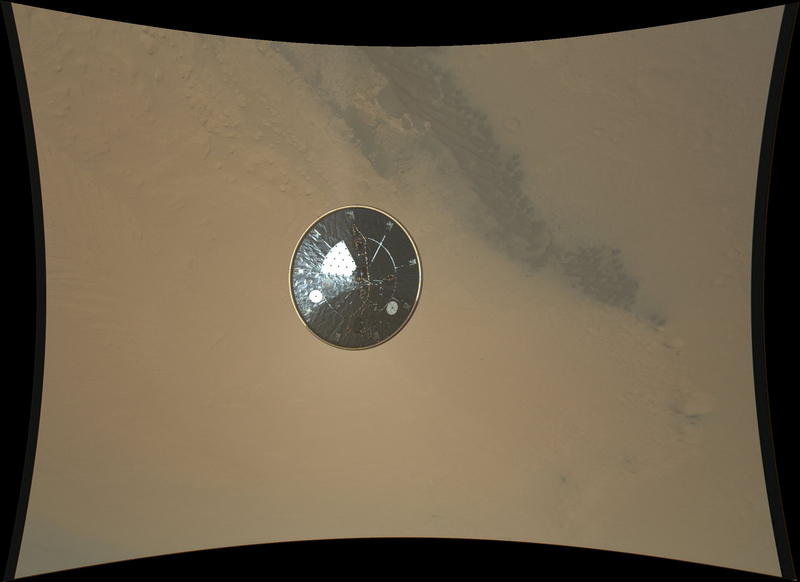 August 5, 2012: The Mars Reconnaissance Orbiter, a NASA spacecraft launched in 2005 that orbits Mars and gathers information, captured this image of the Curiosity rover in its capsule with its parachute as it approached the surface of Mars. 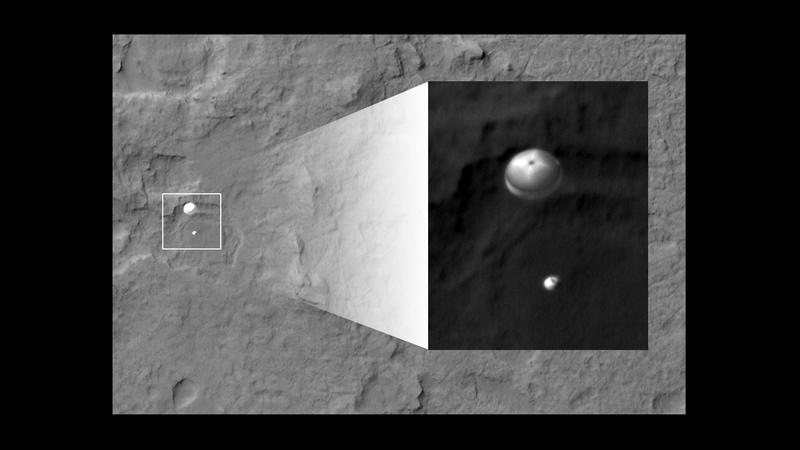 August 5, 2012: As Curiosity hurtled toward the surface of Mars its landing procedure was put into action. This picture shows the heat shield, or the bottom of the capsule that contained Curiosity, coming off. The camera was on the bottom of the rover, looking down at the detached heat shield and the surface of Mars below. August 5, 2012: Another picture from the Mars Reconnaissance Orbiter, this time showing the various components of Curiosity's landing gear strewn over the Martian surface. August 5, 2012: This blurry picture is one of the first Curiosity took and sent back to Earth after its successful landing. The image shows the rover's shadow and the planet's surface around it. 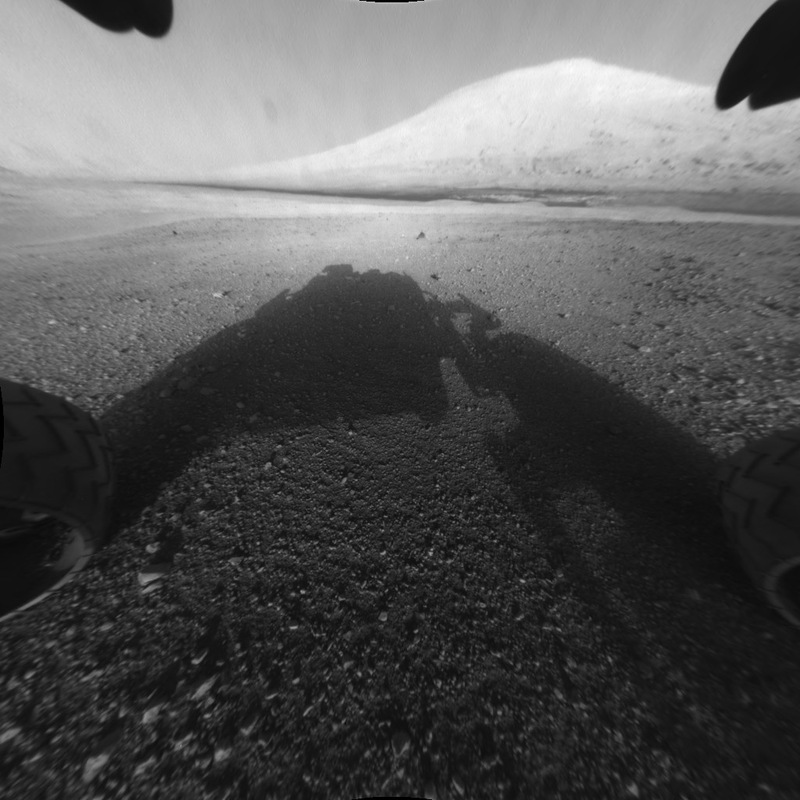 August 5, 2012: Another picture Curiosity took of its shadow, this time showing Mars' Mount Sharp in the background. NASA plans to have Curiosity navigate closer to the mountain to gather data. August 5, 2012: The NASA/JPL ground control crew celebrates after Curiosity's successful landing on Mars.